[jcolumns inbordercss=”1px solid white”]The 1964 Olympic Games held in Tokyo, Japan saw one of the most electrifying events in the history of the Games as the USA 4×100 men’s relay team capped off a record setting performance to solidify the Gold medal. In the First round, the top qualifiers were-Heat 1 (Italy-39.7, Poland-39.9, Great Britain-40.1, Hungary-40.3) Heat 2 (United States-39.8, Venezuela-40.1, Germany-40.2, Senegal-40.5) Heat 3 (France-39.8, Jamaica-40.1, Soviet Union-40.1, Australia-40.6). In 1961, he was a member of the American 4×100 m relay team that set the world record of 39.1 seconds …High School All-American at Cathedral Latin High in Cleveland, Ohio…AAU champion in the 220 yd (200 m) sprint from 1961-63 …equaled the 200 m world record of 20.5 s in 1962. At the 1964 Olympics, Drayton won a silver medal in the 200m dash and ran the opening leg for the gold medal winning American men’s 4×100m relay team, which set a world record at 39.06 seconds. Drayton retired as Deputy Project Director in 2003 and later worked part-time for the Cuyahoga County Sheriff’s Department as a process server. … In 1961, he tied the world mark with a 6.1 in the 60-yard dash. 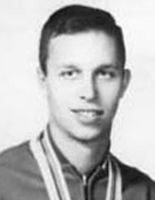 Jerry won the IC4A 100-yd title for Dartmouth in 1962. 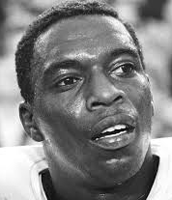 He set the World record for 100 Yards, 9.4, in 1962, and matched it again in 1964. The Dartmouth College sprinter was ranked seventh indoors in the World in 1963 and eighth outdoors in 1964 in 100 Yards and 100 Meters distances. He ran a world-class time 9.4-second 100-yard dash as a senior at Grambling State. A 200M specialist and a part of a 400M relay team that tied three world records. He qualified in both events for the 1964 Olympics. In Tokyo, he finished seventh in the 200-meter dash, and became the youngest medalist as one of the world’s fastest relay team. At 19 years old, Stebbins earned a gold medal before finishing his bachelors’ degree at Grambling. He had a brief pre-season tryout with the Houston Oilers, and later coached football and track at Howard University before assuming an teaching career in the Baltimore, MD school system. He was a two-sport stand-out in college in track and football at Florida A&M University…Bob was considered the world’s fastest man by virtue of his multiple world records in the 60-yard, 100-yard, 220-yard, and Olympic 100-meter dashes. 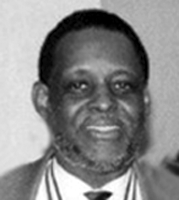 While a student at Florida A&M in 1962, he tied the world record of 9.2 seconds in the 100 yard dash. Hayes was also the first person to break six seconds in the 60 yard dash with his indoor world record of 5.9 seconds. Bob ran a spectacular anchor leg in the 4X100 relay that helped set a world record of 39.0 in the 1964 Tokyo Olympic Games. Hayes is the first man to win both an Olympic gold medal and a NFL Super Bowl ring.